The Perfect Choice For Your Pirate Lovin' Kid! Create a high seas adventure that is Arrrrr-resistible for bounties of fun with a pirate birthday party. Your little lasses and lads are sure to have a swashbuckling good time. Ahoy Matey, I hear tell you are in need of some pirate birthday party ideas. Then keep scrolling as this page is a bountiful booty full of options. Pick and choose what floats your boat and send the rest to walk that thar plank! PIRATE GOLD INVITATIONS - Buy ready-made pirate invites, hole-punch upper left-hand corner, run a piece of twine through the hole and tie to a bag of chocolate gold coins or gold nugget gum, and hand-deliver to your guests. PIRATE SHIP INVITATIONS - Cut out a pirate ship from a piece of brown cardstock. Cut out the sails from white or cream-colored cardstock. Write your party details on the sails and glue them to your ship. Hand-deliver your invites. PIRATE BOTTLE INVITATIONS - Use an empty Coke bottle, salad dressing bottle, or any other bottle that is round is shape with a long neck. Soak off labels and attach your own pirate-themed label. Write the details of your party out onto a piece of white paper, in calligraphy, to give it a look of olden day. Photocopy to make additional invites. To age your paper, soak your invites in tea or coffee and let them air dry or microwave on low. Carefully burn the edges. Roll it up and seal it with candle wax or twine. Put it into your bottle. On the bottle's pirate label put, "Ahoy There Matey! or give each of your guests a pirate name like Captain Jack Sparrow, Redbeard, The Black Pirate, Long John Silver, Black Bart, Black Beard, Calico Jack, Captain Hook, Anne Bonny, Mary Read, Grace O'Malley, Charlotte de Berry, Rachel Wall, etc. Hand-deliver to guests. TREASURE MAP INVITATIONS - Parchment paper works great for this type of an invite. You can also use a crumpled brown paper bag (straightened out a bit) or cream-colored paper in which you have burnt the edges to give it that older look. Draw a map of your home or yard area where the party will be held and indicate with a big red "X" the location of a hidden treasure. Provide your guests with clues to locating the hidden treasure. On the reverse side, handwrite in calligraphy all of your party details. Then cut up your invitation into several pieces. Enclose a note to your guests to assemble their map invitation and to bring it to your party. 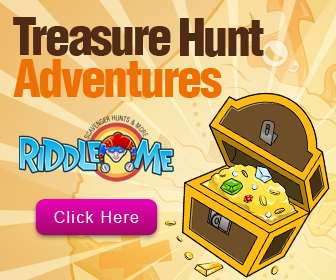 After everyone has arrived, they can all try to locate the treasure using their map invite clues as a guide. NOTE: Be sure to have extra map invites on hand in case someone forgets to bring their map. Yo Ho, Yo Ho, A Pirate Party For Me! Get Set To Hoist The Rig! Get Set To Plunder The Booty! Shiver Me Timbers...it's time to set sail. Prepare to Set Sail on the Seven Seas. Join Us Fer Swashbuckling Fun! Join Me Fer some Swashbuckling Fun & Grub! Calling All Scallywags With An Eye For Treasure! Chart Yer Course for (address) on (date). Don't be Late, or Ya'll Walk the Plank! Wave Yer Flag If Ye Be Attendin'! Raise The Jolly Roger If Ye Be Attendin! Yer presence is requested at my Buccaneer B-Day Bash. Join me for some grub and swashbuckling fun! No shows will result in walking the plank! Decorate corners of invitation with pirate-related stickers. A pirate party won't be complete unless your guests talk the talk. Also, let everyone know in the invites to practice their pirate talk so they're ready for the party and will be able to join in and speak out those things pirates say. To get everyone started, here are some salty Pirate Sayings. Find a pair of old black pants and fringe the edges with scissors. Tuck in a big gold or white blouse. Tie a red scarf around the pirate's waist and a bandanna around his head. Clip on some gold costume jewelry, then add an eye patch and a pirate's hook (all inexpensive party store finds). Dab on black face paint for a beard and missing-tooth makeup. If you've got a stuffed bird in your toy box, use craft wire to attach it to your pirate's shirtsleeve. Now he's ready to collect his Halloween booty. Girl pirates could wear a black skirt with a "fringed" bottom with black fishnet stockings or tights and a red and white striped top. Create the "fringed" look by cutting "V's" out of the bottom of the hem. If you need a bit of inspiration to get your designing, sewing and creating skills engaged, check out my page of PIRATE COSTUME FOR KIDS page. Here's some pirate party ideas for flags. Make a Jolly Roger flag from an old white sheet. Draw a skull and crossbones on it using a black marker. To make it a little fancier," you could cut your skull and crossbones out of felt and glue it to the sheet. Then you don't have to worry about any of the edges bleeding. When done, tie your flag to a stick and display it at your front door. Place the Jolly Roger Flags noted above, along the walkway to your door. Hang the Jolly Roger Flags on the party room walls. Staple the Jolly Roger Flags to a long piece of twine and create a "grocery store strip pennant" to hang around your party room walls at the ceiling level. Use twisted streamers, clusters of balloons, and curling ribbons in black and silver or black and gold. Accent your doorways and archways with some black and silver or black and gold streamers. Wider walkways can be decorated with some black fabric or sheets that are tied back. Use some gold or silver rope or fabric to tie them back. Here's some pirate party ideas for your party tables. Cover tables with burlap or black tablecloths and net topper. Scatter small seashells on top. Put pirate place cards at your table identifying each of your pirate guests. You can address them as Pirate Sally or Buccaneer Josh or opt to give them pirate names. Try to make an alliteration with the names like Sea Dog Sam or Sally, Peg Leg Patti or Pete, Dirty Dog Dave or Deliah, Landlubber Larry or Lucy, Freebooter Fred or Francie, Brigadier Bob or Bridget, etc. Place any of your child's pirate-related toys and stuffed animals around the party room as additional decorations. Things like pirate chests and ships, pirate hats, and snakes, parrots, alligators, and sharks work well. Hang fishnets from the ceiling and/or cover some of your walls. Then you can attach to the fishnet plastic fish like sea horses, lobsters, crawfish, or crabs. Give your party room a pirate face list with a pirate scene kit for your walls. This will instantly transform the backdrop of your party into a swashbuckling soiree! Jazz up your walls pirate style with some appropriate signs. They could say something like: "Enter At Yer Own Risk! ", "Pirates Only - Do Not Enter! ", "Dead Men Tell No Tales", or "BEWARE". You can then post some fun signs on doors or areas where you don't want anyone to venture into. These signs could say things like: "If Ye Enter--Ye Will Walk The Plank!" or one that just says "Keep Out". Create some treasure maps to hang on your walls. You can use the instructions noted above under a treasure map invite for ideas. Another option for creating "treasure maps" is to gather up all of your old street maps and soak them in tea or coffee. Hang them up to dry on a clothes line or the like. Once dry, crumple them up and burn the edges to give them an aged look. Now they're ready to hang on your walls. Cover large walls or if you happen to be outside, you can cover your fence with some pirate posters. Hang some pirate wall graphics on your barren walls to give them instant pirate pizazz. After the party is over, transfer them to your child's bedroom walls. Instantly transform your party room into the high seas with some water printed gossamer. You can use it to cover your furniture, ceiling, walls, tables, etc. Scatter some foil wrapped gold coins (you know the chocolate kind) on your tabletops. Use pirate themed party ware, centerpiece and cutouts to further decorate your table. Serve the kids' "grog" in pirate mugs and let them keep the mugs as party favors. Start setting the tone for your party with a fun pirate yard sign. Your guests will instantly know where all the pirate frivolities will take place. Attach Mylar pirate balloons, black and gold and/or black and silver balloons to chairs and the mailbox. For a fun addition you could add an inflatable pirate ship. It is a perfect theme piece that could double for keeping your drinks cold. Create a centerpiece with a bunch of helium-filled balloons tied with curling ribbons. Attach them to a weight and place the balloons into an upside down pirate hat. Create a treasure chest to use for everyone to place the birthday gifts into. You can make a smaller version to use for the favors. Add a dry ice fog machine to create foggy atmosphere for ship. To add eerie feel to party, hang skeletons on walls and at front door to greet guests. Hang a skeleton at your front door to greet your guests. If you want to jazz it up a bit and make him look a little more pirate like, add a black eye patch, a pirate bandana around its head, a gold hoop earring, and colorful Mardi Gras necklaces around its neck. Add some cobwebs and spiders throughout the party room to maintain the eerie feeling. SEA DOGS - Serve hot dogs with Jolly Roger paper flag skewered into dog. GOLD NUGGETS - Most kids enjoy chicken nuggets and they're a perfect rendition of pirate's gold. PEG LEGS - Fish sticks. GOLD TREASURE - Macaroni and cheese. POT OF GOLD - Melt Velveeta cheese and dip cut-up pieces of French bread. SWORDS - Pretzel sticks, carrot sticks, or breadsticks. FISH BAIT - Goldfish crackers, gummy worms, and Swedish fish. PIRATE SHIPS - Cut up stalks of celery into 3" pieces. Mix chopped pecans into cream cheese and fill celery or use peanut butter. Make small Jolly Roger paper flags on toothpicks and insert into filling. Add raisins "pirates". FRUIT SWORD KABOBS - Fill either sword-shaped picks or bamboo sticks with fresh cut-up fruits like strawberries, applies, pineapple chunks, cantaloupe, grapes, etc. FROSTY ALE - Any dark colored cola product will do, but root beer is usually a favorite among kids. SHARK'S BLOOD - The day before the party make red ice cubes by freezing red punch into the trays. When it's time to serve your Shark's Blood, pour Sprite or 7-Up into a clear cup and add a red punch ice cube or two. PIRATE HAT CUPCAKES – Make your own adorable pirate cupcakes with this easy, fast cake idea. Make at least two batches of cupcakes, or more, depending on the number of guests that you plan to have at the pirate party. Make sure you bake some cupcakes in vanilla and some in chocolate. Ice the chocolate cupcakes in blue buttercream and ice the vanilla cupcakes in red icing. Then, you can use some fondant to make mini pirate hats and then add them to the tops of the cupcakes. Of course, if you do not have the time to spend on making the pirate hats out of the fondant, you can always purchase some small pirate hat cupcake toppers, inserting them into the icing on top of your cupcakes. Serve up the cupcakes on a cupcake tiered serving dish. Kids are sure to enjoy these cute pirate themed cupcakes and they are very easy for kids to eat as well. JOLLY ROGER CAKE - Frost your cake with black icing. Top it off with some crossbones and a white skull that is cut from fondant. Put an eye patch and bandana on the skull with piped out frosting. Decorate the sides with candies pressed into the frosting to serve as "jewels." PIRATE MAP BIRTHDAY CAKE – If you are looking for pirate party ideas for a perfect pirate cake, this cake is super simple to make. Start out with a double layer 10 inch round cake in chocolate. Using some icing, combine the layers and add enough icing to ensure that the layers stay together. Ice the cake using a thin layer of white buttercream icing. Place the cake in the freezer to ensure that the buttercream hardens. Meanwhile, start making your fondant. Roll out a layer of white fondant, rolling it into a circle until it is large enough to cover the entire cake. Pull the cake out of the freezer and top with the white fondant. Place the cake back in the refrigerator. Then, make a batch of red fondant. Roll it out and cut into 1-inch strips. Drape the strips of red fondant over the cake, making a striped pattern on your cake. Then, color a small batch of fondant brown and create the shape of a treasure map, rolling up the edges of the map slightly. Apply the treasure map to the cake. Then, using edible decorating pens to draw roads, starting points and a big red “X” on the pirate map. Use any leftover fondant to make a small pirate anchor on the cake as well. Refrigerate the cake until you are ready to serve it to all of your pirate party guests. PIRATE CAKE - A super-simple pirate cake option is to just top any cake of your choice with a cute pirate cake topper to instantly give you a pirate theme cake. TREASURE CHEST CAKE - Bake loaf cake and let cool. Cut off top third of cake. Trim 1/2" off one long side of top. Place chest base on foil covered cardboard. Scoop out portion of chest bed. Frost outside of chest with brown frosting. Fill chest with gold and silver wrapped kisses, candy necklaces, chocolate gold coins, etc. Frost "top" of chest and place on top of bottom with plunder falling out of chest. Decorate outside with M&M and Skittles. Create "straps" across chest using fruit roll-ups. PIRATE SHIP CAKE - Bake cake in ship cake pan and decorate with brown frosting, toasted coconut, and any combination of edible glitter, sprinkles, sparkling sugar and gel icing. If you are in the photo-looking mood, then check out these PIRATE CAKE IDEAS; perhaps you'll find one that you want to duplicate. Fill up your pirate favor bags or a pirate chest favor box with some pirate themed tattoos or stickers, glow sticks, a sprinkling of those gold coins (chocolate), an eye patch, pirate mug, or "pearl" necklaces. Other pirate items that would make great favors are pirate hats and swords and an eye patch. Do you have some favorite pirate party ideas? Do tell! Please share all your party tips and ideas for invitations, decorations, games, etc.